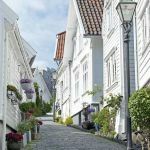 This fascinating ‘toy town’ of stacked wooden boxes defines the character of Norway’s oldest city. 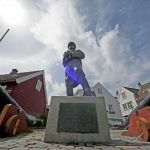 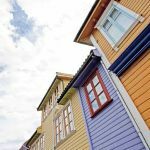 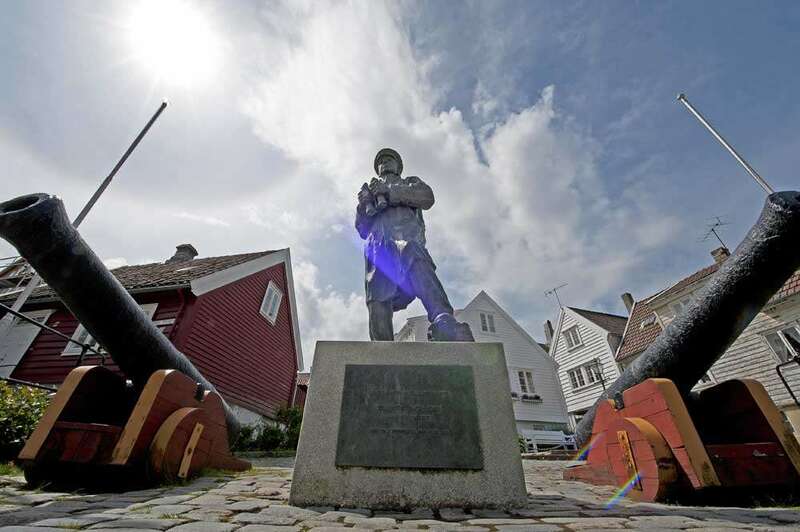 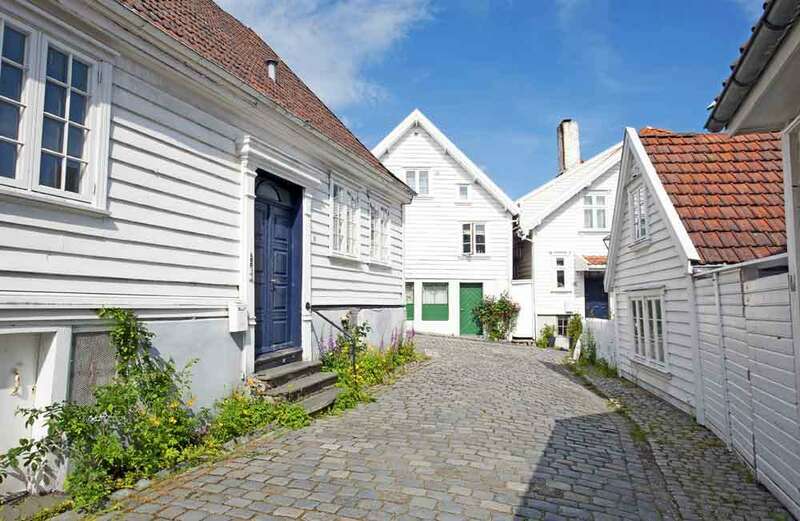 Given that Stavanger is the most expensive city in the world it’s perhaps a surprise to find a collection of wooden ‘sheds’ on the harbour-front – until you learn that it’s the continent’s highest concentration of protected wooden houses dating back to the 17th and 18th century. 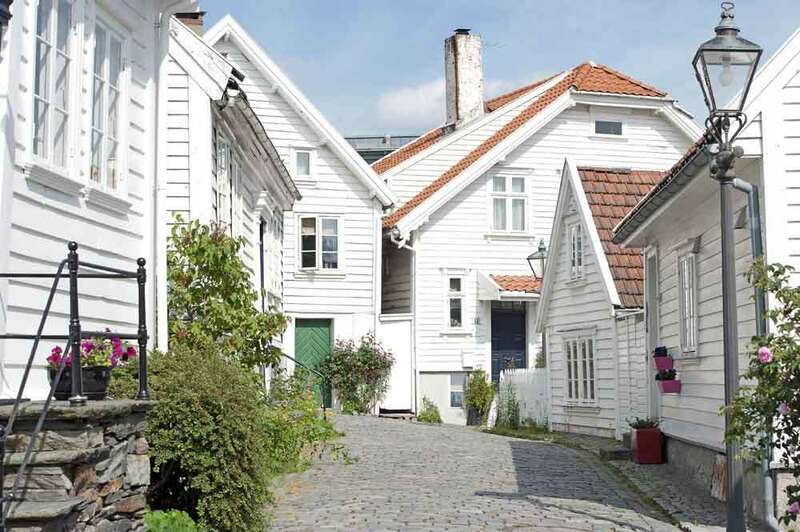 Saved at the eleventh hour from developers in the 1950’s (an era not known for its architectural significance) it’s a miracle that these houses exist at all, let alone becoming a defining feature of Stavanger’s character. 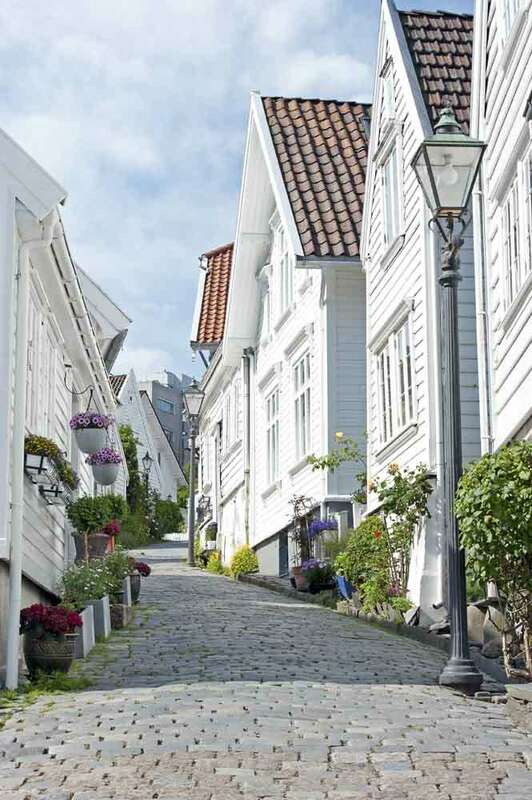 Offshore drilling fields have driven the economy to its very heights (and recent lows with the critically depressed oil industry) and its infrastructure largely dominates the surrounding fjords and hinterland but without overpowering the charm of the old city itself. 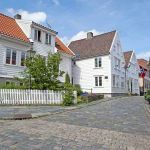 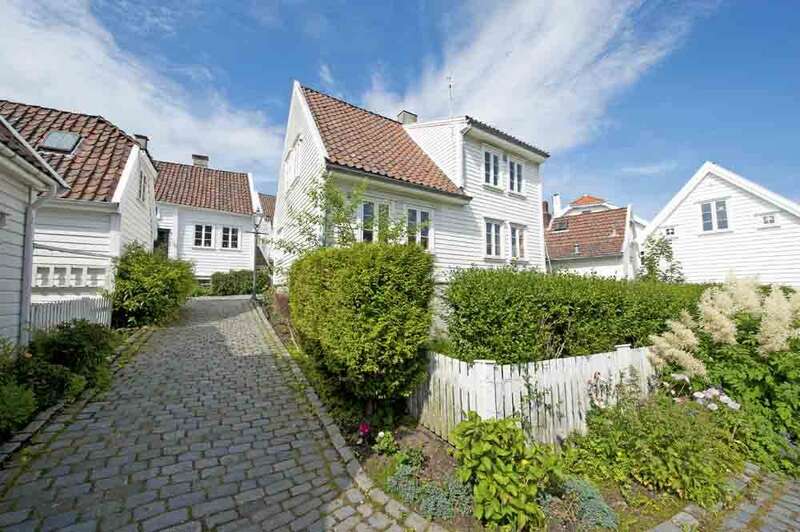 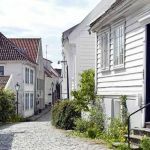 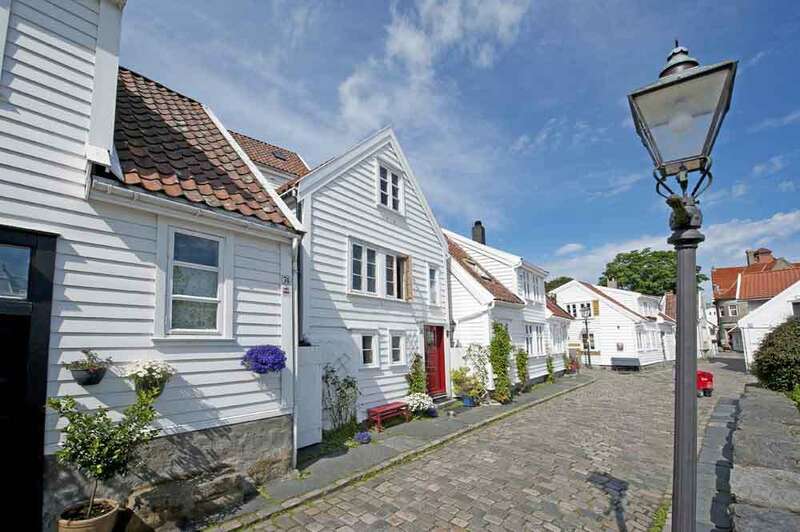 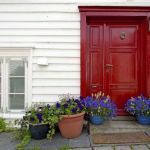 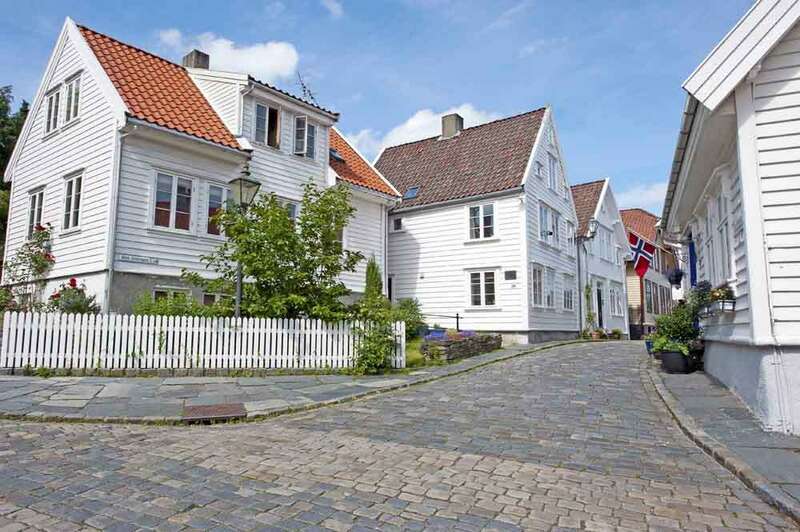 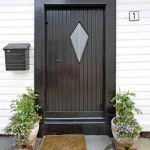 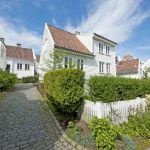 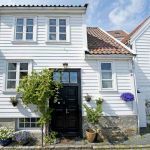 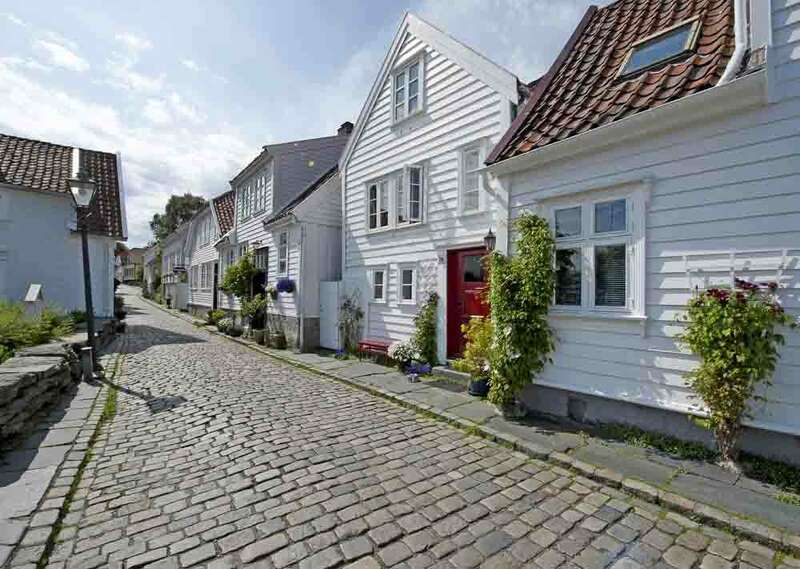 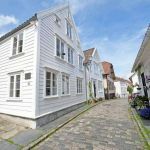 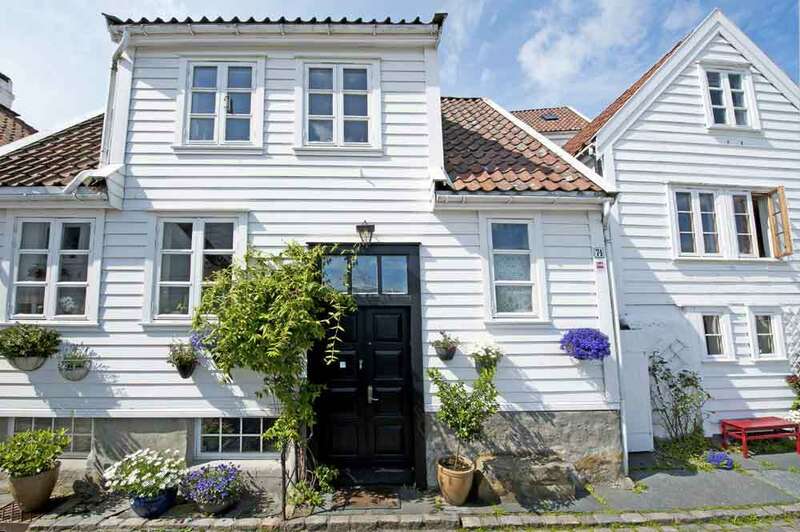 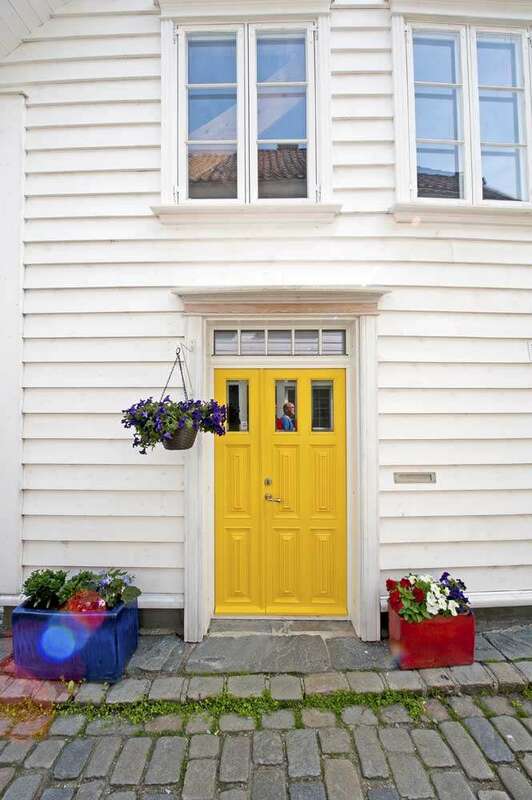 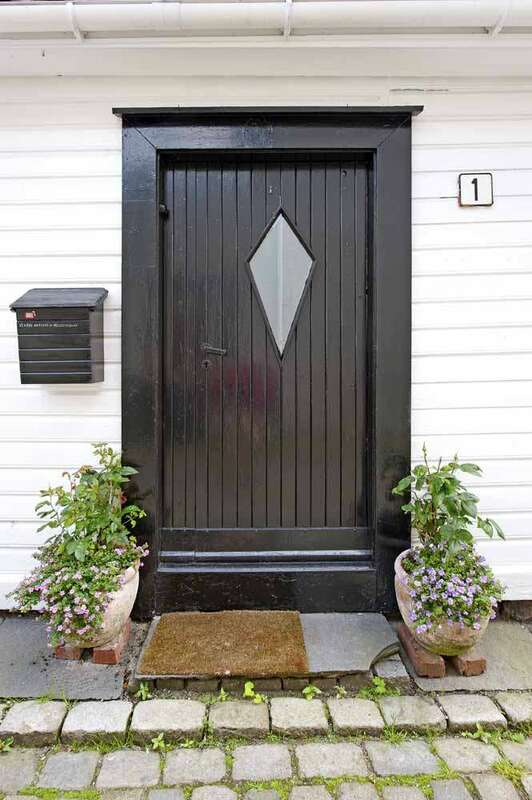 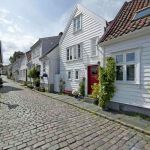 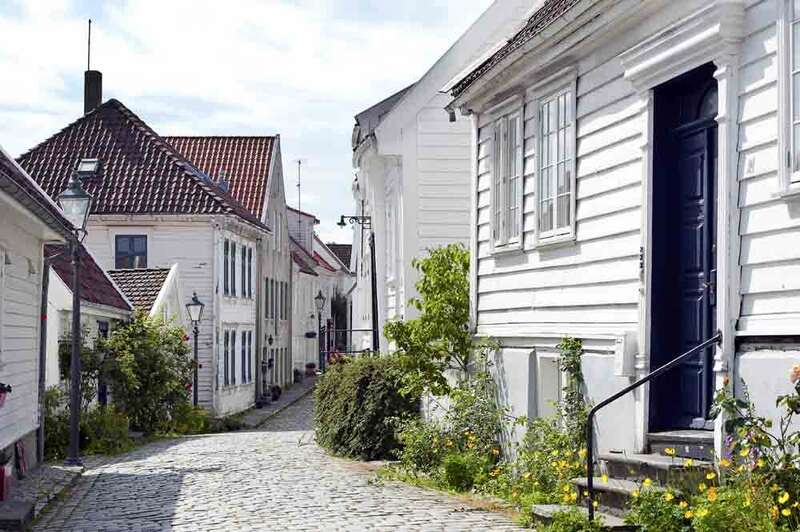 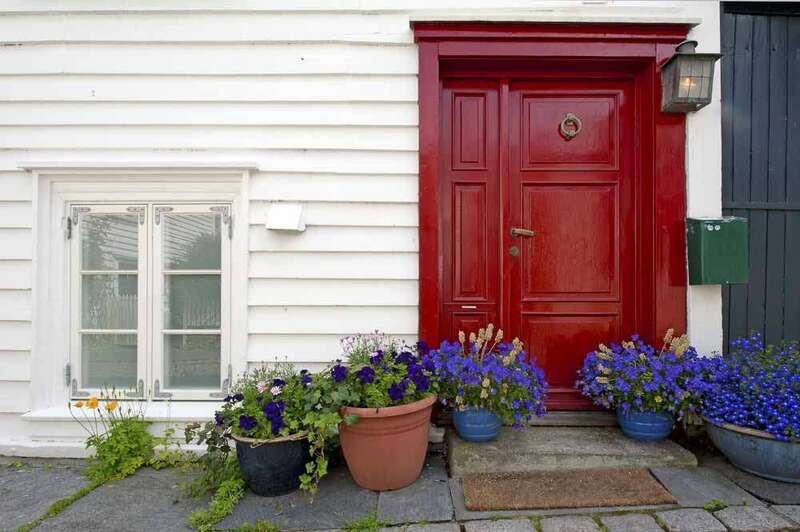 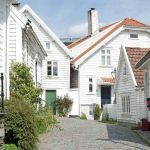 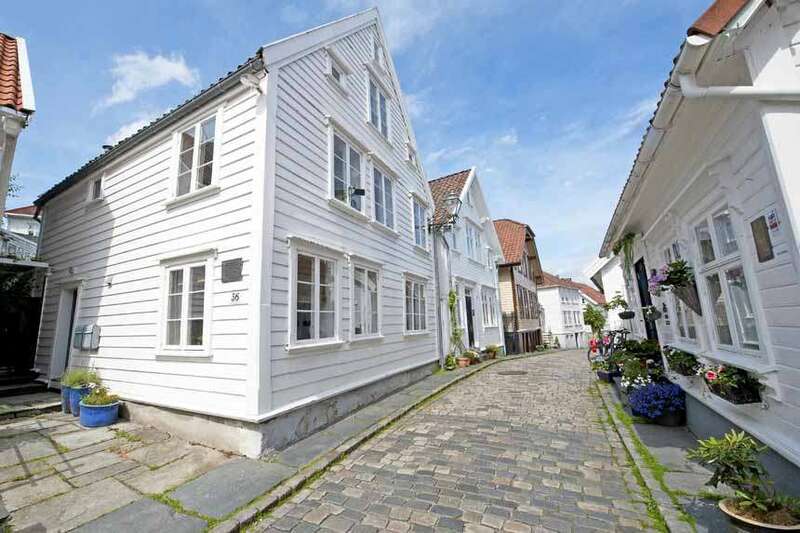 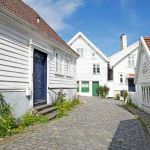 The cobbled undulating streets of Gamla Stavanger are not only a step back in time but a delightful stroll through the prettiest collection of homes; all lovingly cared for by their owners to present a uniformly white clapperboard kaleidoscope of randomly stacked shapes and sizes. 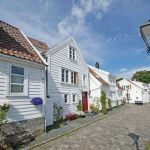 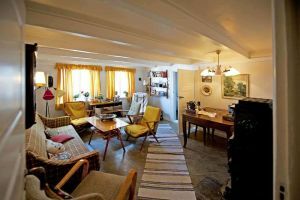 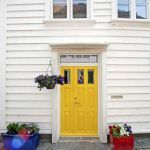 It comes as a surprise to us that beyond the initial impression of an attractive collection of white houses crowding the hillside that a walk around the area would easily occupy so much of our time. 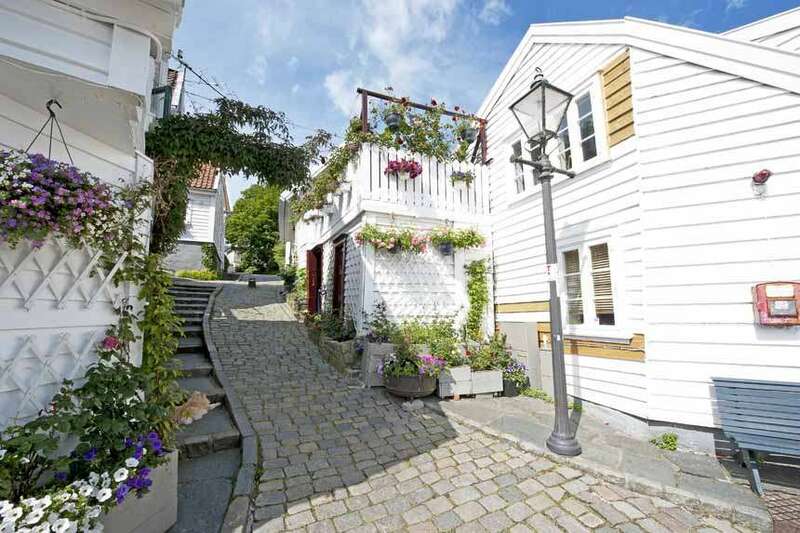 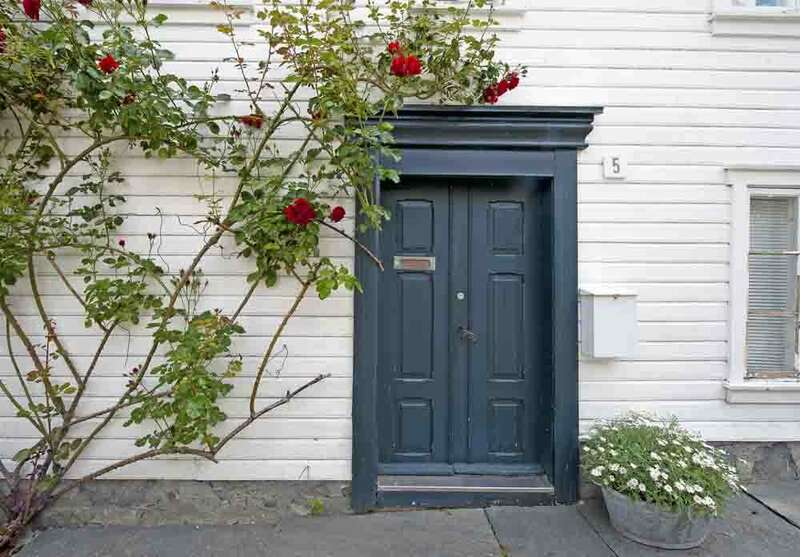 Each corner opens a new view or quaint doorway, flower display or pattern in the cobbles. 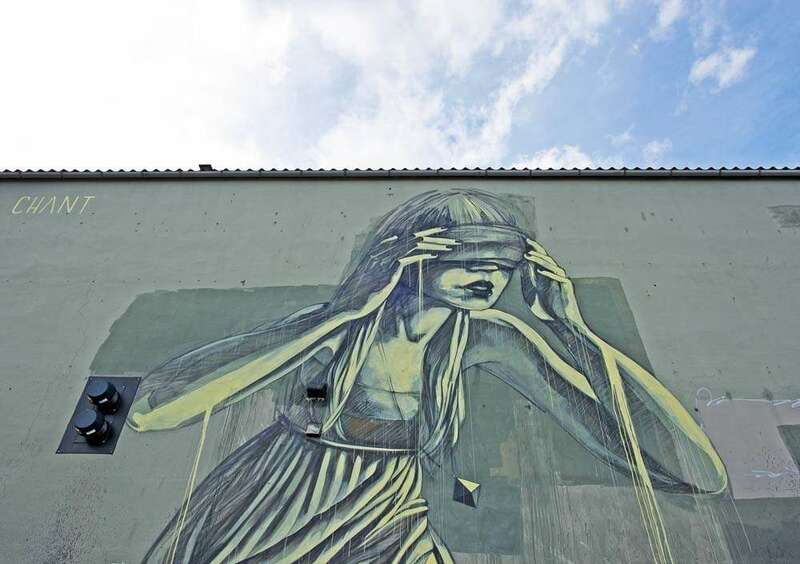 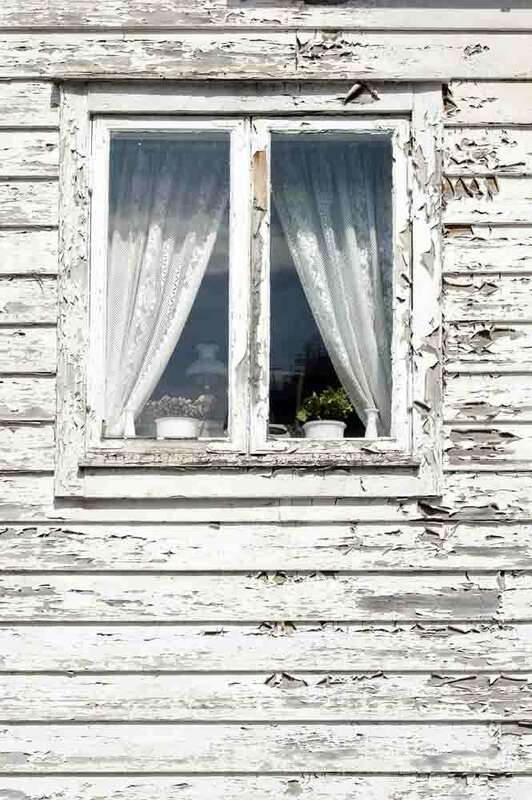 The more we look the more that reveals itself and we just become enveloped in its charm. 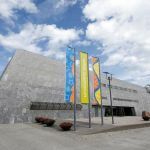 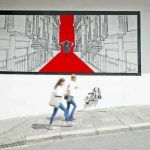 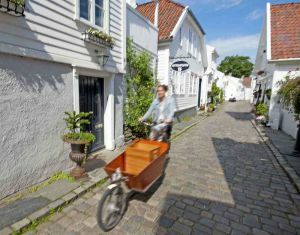 The area isn’t just a museum piece but a living entity that’s fully occupied to this day – even the postman walking around with his trolley and the wheelbarrow cycle seem to hark back to times past. 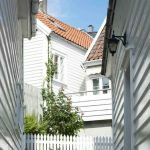 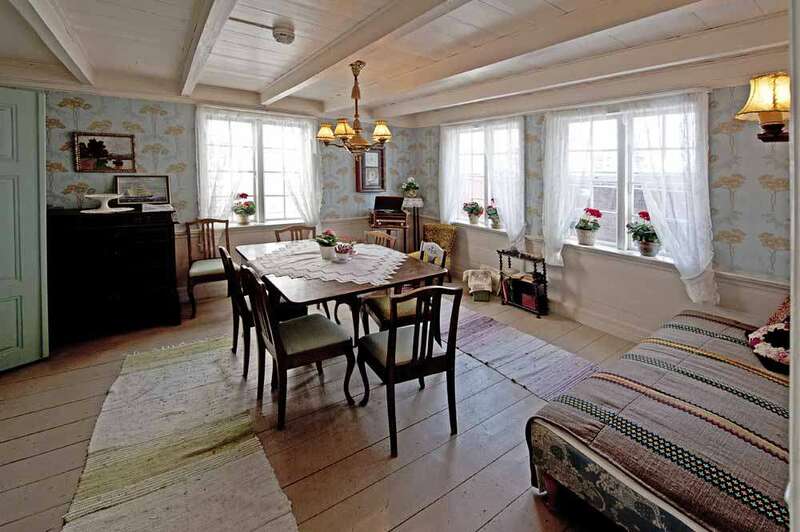 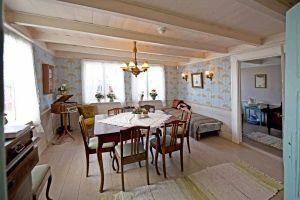 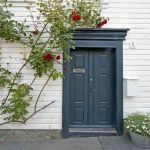 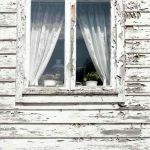 We venture up a narrow alleyway and enter a workman’s cottage – it seems like an intrusion, as if we’re about to disturb the family in their household chores but the house is open to the public. We’re the only ones inside, which adds to our unease on entering each room, lest we should be discovered. The décor is authentic 1920’s on the ground floor, 1960’s on the first and the reception rooms are surprisingly spacious and comfortable on this bright sunny day – we wonder what they’d be like in mid-winter. 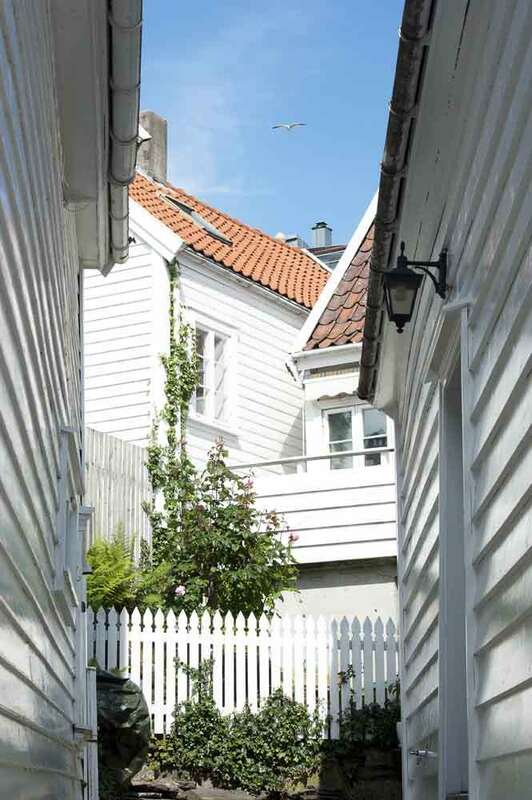 It takes us a good hour or so to stroll around all of the streets, especially as there are so many opportunities to take pictures and thankfully there are few people to intrude into these chocolate box images, which means minimal Photoshop work, as in this instance people are surplus to requirements! 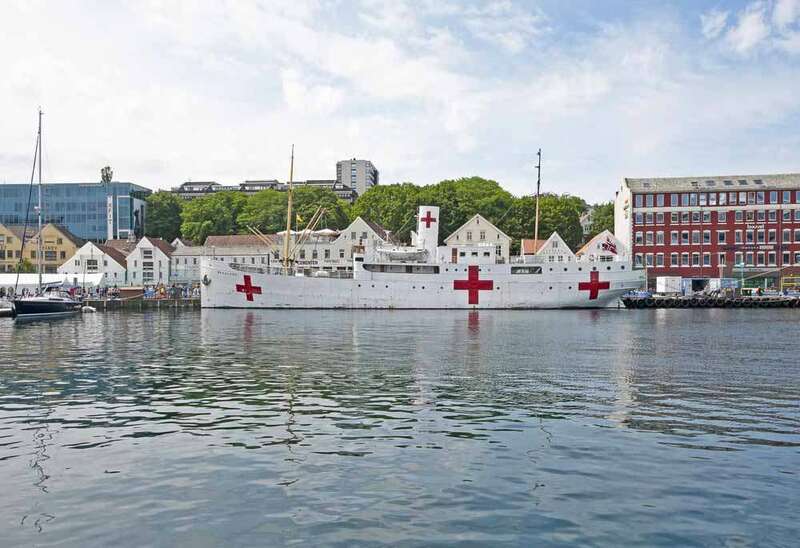 Descending again from the highest point onto the harbour-front we stroll along to the head of the Vagen inlet, past the hospital museum ship and into the market square. 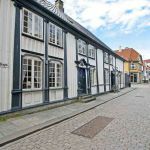 Although more modern the centre retains a lovely character to it, so that at no time do we feel as though we’re in the hub of a petroleum town. 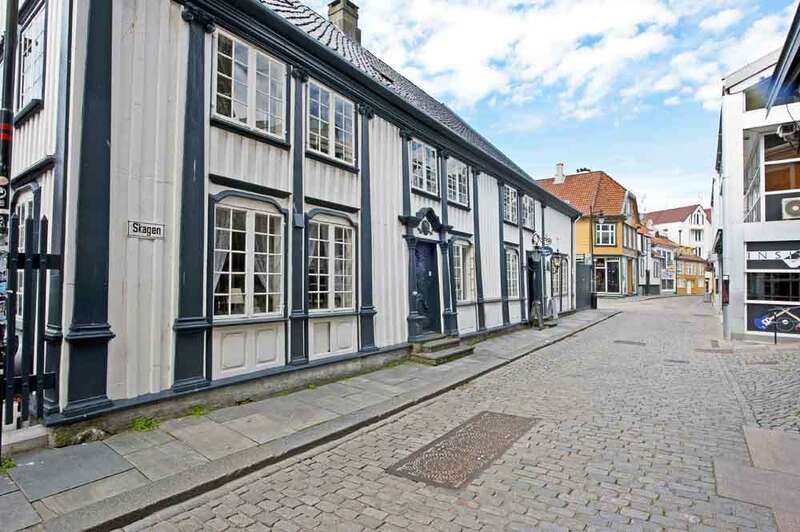 We walk around the whole of the city centre, much of which still retains or has rebuilt its wooden styling and venture around the harbour-side to the more commercial Ostre Havn sector where we find the imposing and distinctive Oil Exploration Museum- which is of much more interest to us today for its swish toilet facilities than for its primary role of sharing Norway’s drilling exploits! 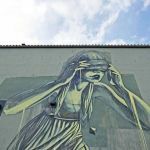 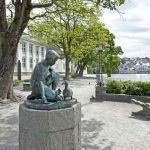 We complete our circuit of the city harbour-front and avoid the energetic aerobic dance class displaying their prowess on the wharf, before finding a lively café to enjoy a refreshing drink and to soak up the sun. 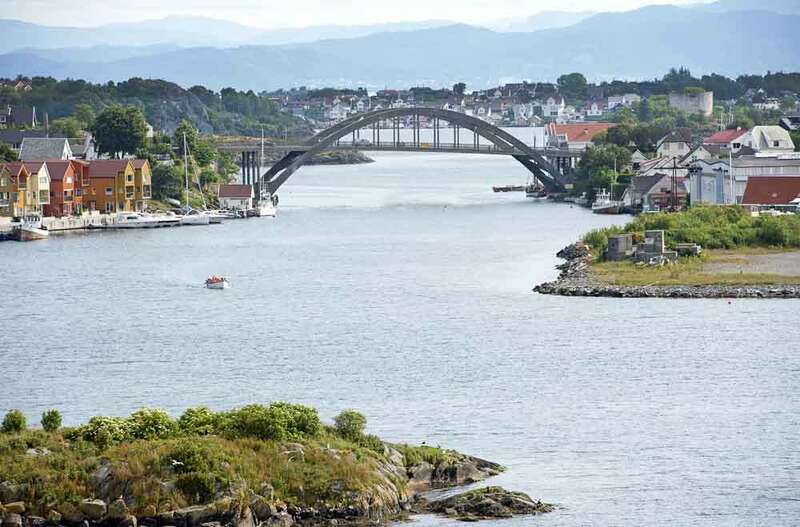 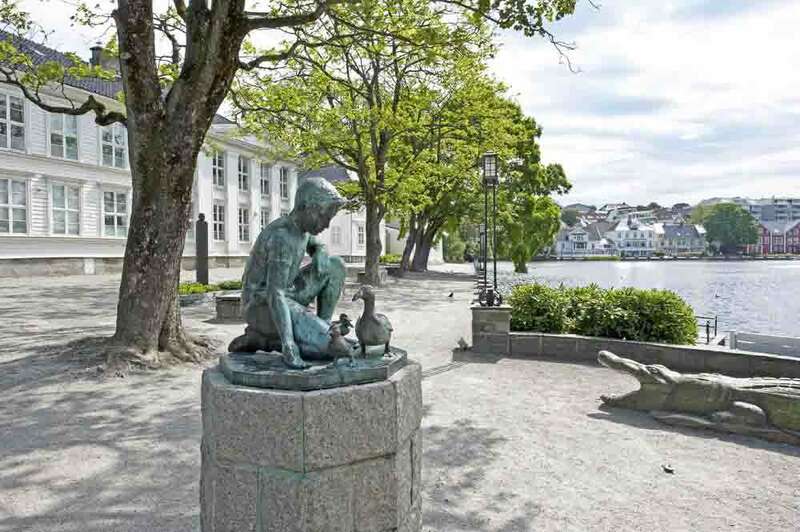 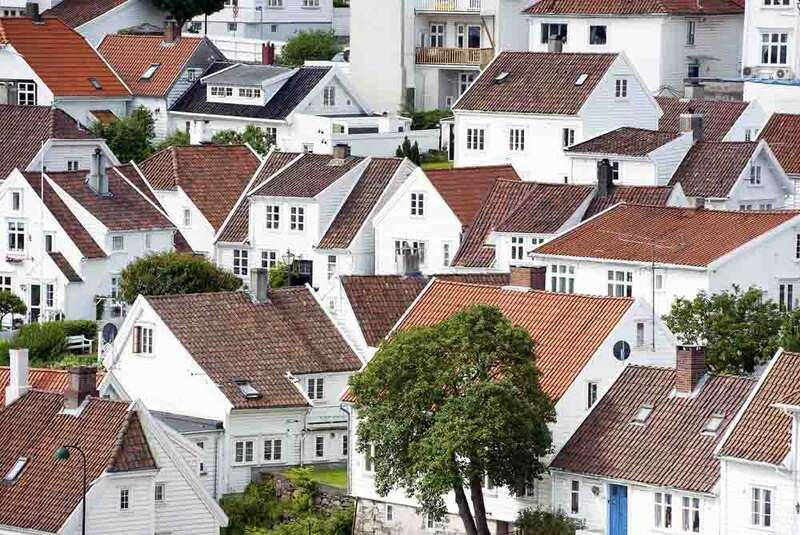 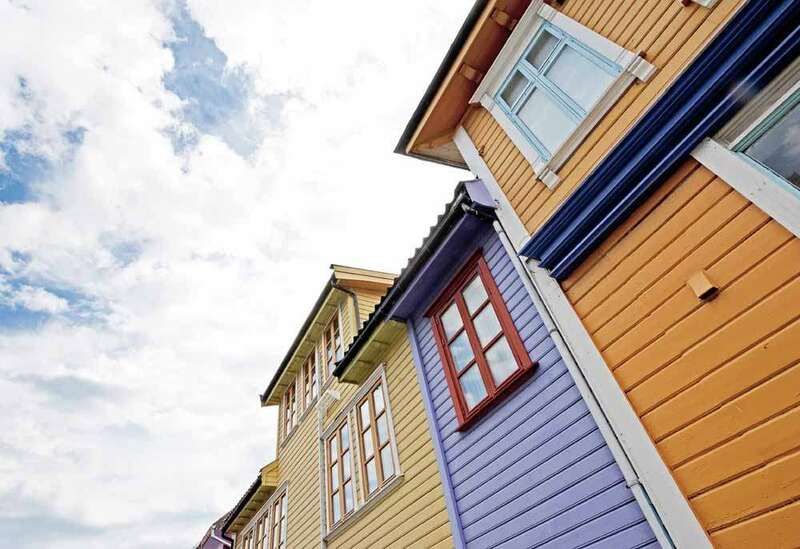 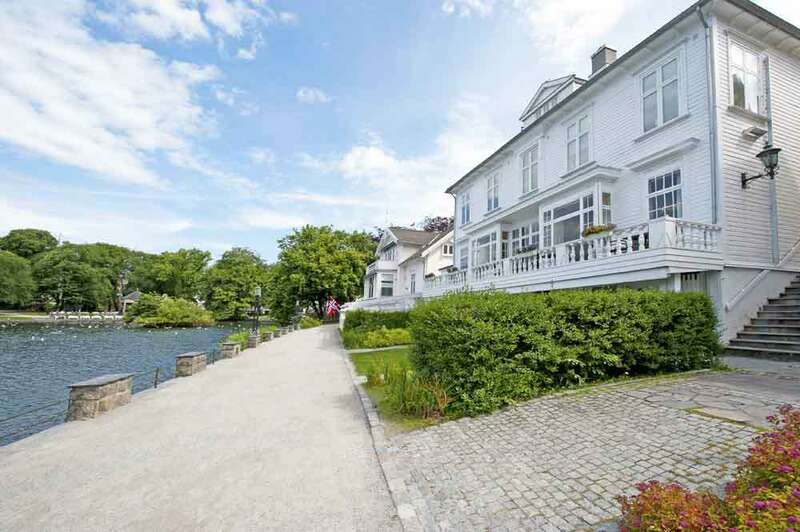 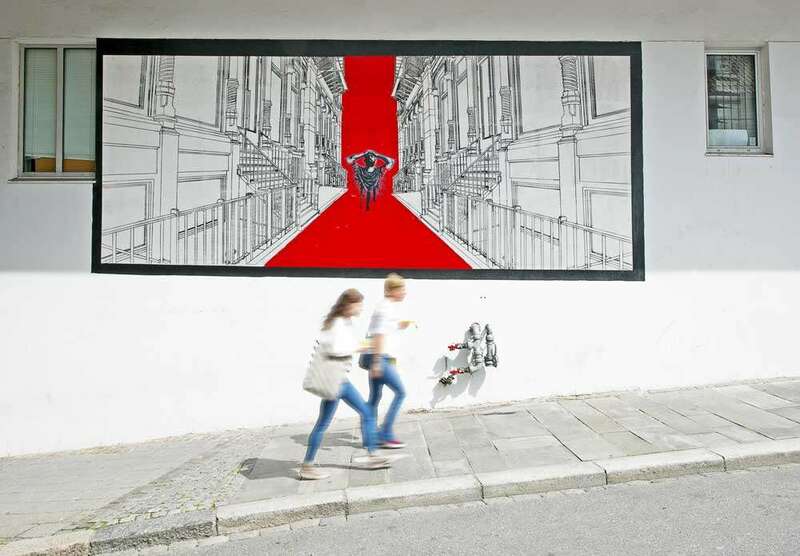 At virtually every turn there’s something of interest in Stavanger harbour area, whether it’s the old wooden houses, artworks on a grand scale adorning otherwise blank building walls, or the inner Breiavatnet lake that invites a leisurely amble whilst ducks and diners enjoy various pleasures at its water’s edge. 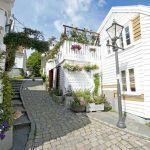 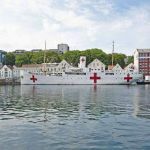 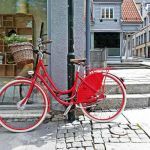 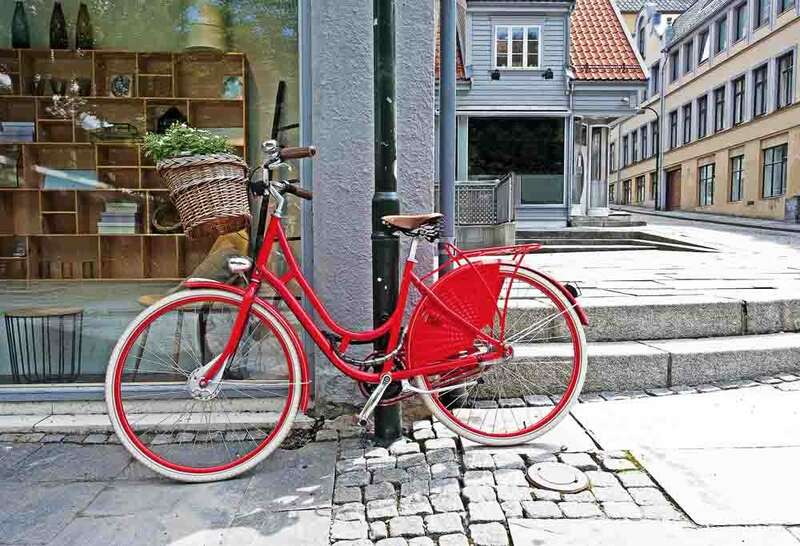 When you’re thinking about Scandinavia, definitely include Stavanger on your itinerary – you won’t be disappointed. 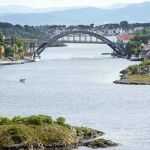 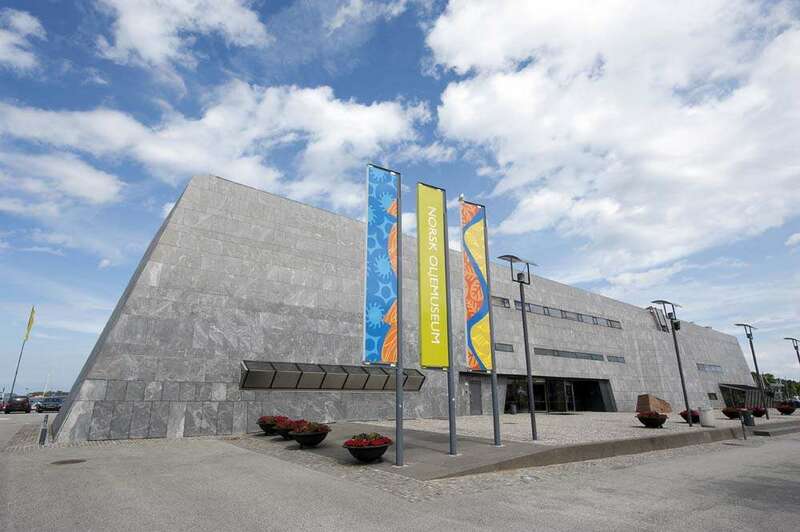 Here’s a link to the official site for Stavanger Region.